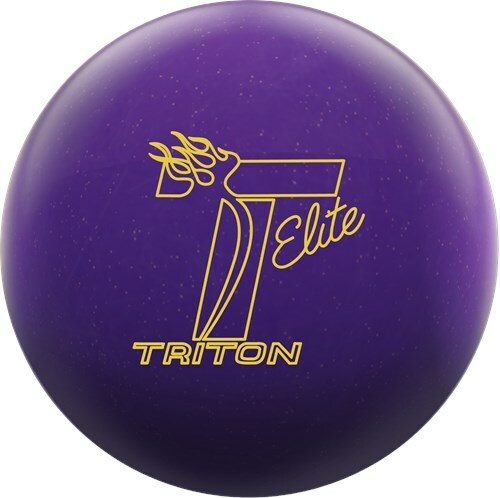 Track is bringing back the Triton Elite with a new solid coverstock and a modified version of the original Core 2 to offer the same consistant motion the original Triton Elite was known for. This updated bowling ball takes the QR-7 Solid coverstock and wraps it around the MC2 (Modified Core 2) to offer major continuous hook on medium lane conditions. Track took the same core used in this ball 20 years ago and modified it to rase the RG and lower the diff slightly to match the old reaction on todays lane conditions. Likes: This ball has easily made it's way to one of my favorites in my bag, It is one of the most versatile balls I have had in a while. I can use it more in the friction with speed or I can really go left like I like to do, wrap my hand around it and still see a very controllable but extremely arc like and sweeping shape to the pocket. I have the surface at a worn 2000 to shine up the cover just a tad and I the layout is a 4 1/4 pin with a 20 degree VAL angle. Track really hit this one out of the park. Dislikes: No dislikes at all with this ball, I feel even if I put more surface on this ball, I would still see that sweep like motion on the backend, but with the ability to handle the heavier oils. I drilled the Triton Elite pin up and left it at box finish and plan on using this ball for tournaments when I need that extra flip on the back end. This ball really gets down the lane nicely and is very angular off the spot. It’s now my strongest ball in the bag. This ball will definitely be going to Vegas for Nationals in late April. Likes: This ball has a really nice shape to it. It is similar to my Tactix but goes through the pins stronger, less deflection. It picks up a little early, but in a good way, it doesn't jump off the spot. For me it blends out the wet dry pretty well. Some balls will jump if you get them right too soon on house and go through the face. This one is smoother so you might leave or even trip a 4 pin instead of a big split. Good fit for me. Page created in 0.685 seconds with 23 queries.